Our Porsche service department is always here to serve you. Our technicians and support personnel have over 165 combined years of experience. Every employee has attended and participated in training provided by Porsche’s factory academy, by factory trainers, and maintain the highest standards by continuing ongoing factory training. All are Porsche Certified. We want to make booking your service appointment as easy as possible. If you are in a hurry, you can find our earliest, next available appointments online quickly and easily. Or you can create an account or log in to tell us about your vehicle, choose the services and repairs needed, pick your date and time, and book! Give our service department a call at (888) 256-2408. 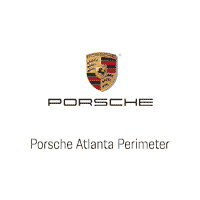 We are happy to assist you directly by phone to book your Porsche service appointment! Come experience the difference that having this kind of expertise makes when your vehicle is in need of service and/or repair.